The rumored GeForce Titan has just been officially announced by NVIDIA and will be available for purchase on the 25th of February with a MSRP of USD $999. Full specifications have been released on the NVIDIA website and on paper, the Titan is a beast. The GTX Titan was designed with small form factor computers and silence in mind. The Titan is based off the GK110 processor, which uses the same architecture as the TITAN supercomputer located at the Oak Ridge National Laboratory. The TITAN supercomputer is also ranked number 1 of the top 500 supercomputer in the world, for a relativity low price of $999, you can have a piece of that in your home computer. With the GTX Titan, NVIDIA spared no expense with the design of this card. NVIDIA has managed to pack 7 billion transistors into the die which is made using a 28 nm process, similar to the previous 680 which is also based on the Kepler architecture. The Titan also has 2 668 CUDA cores, 75% more than the companies GTX 680, producing 4.5 teraflops of computing power. 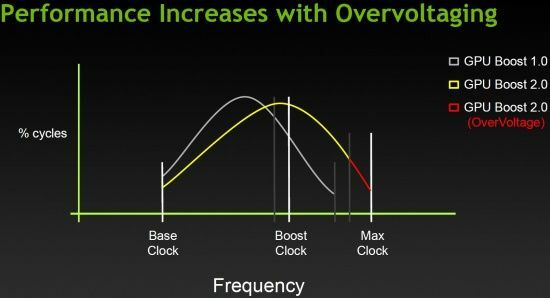 The GTX Titan features NVIDIA's new Gpuboost 2.0 which allows unlimited overclocking of the card, even past NVIDIA's recommended maximum voltages. The card can adaptively overclock itself based on the GPU's current temperatures. GPU Boost 2.0 also allows users the freedom to overclock their LCD monitors, so a normal 60Hz monitor could possibly be overclocked to 80Hz (depending on the monitor, results not guaranteed). Always remember to take caution when doing any type of overclocking as it shortens the life span of the components and may void the warranty as well as damage the product. With all these features, the GTX Titan is the world's most customizable graphics card on the market (at the time of writing this article).